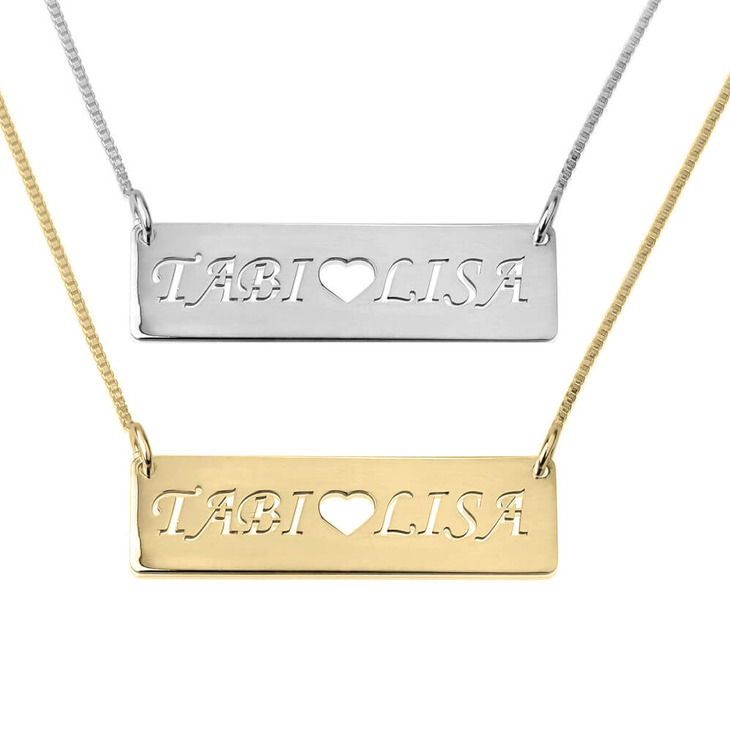 The perfect Valentine's or anniversary gift, our Bar Necklace With Two Cut Out Names is a unique and thoughtful way to say 'I love you'. 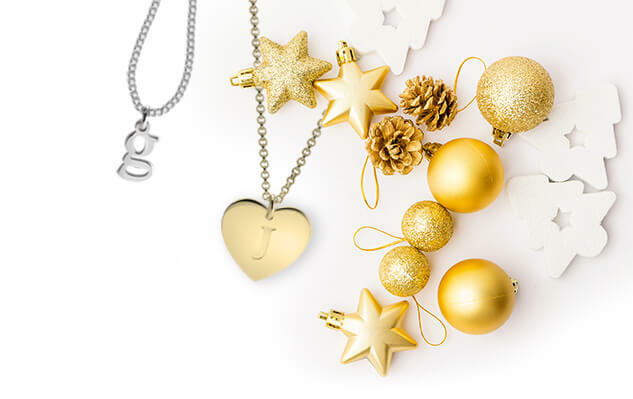 Surprise that special someone today, with this exquisite pendant with both of your names customised, with a dainty heart in between. 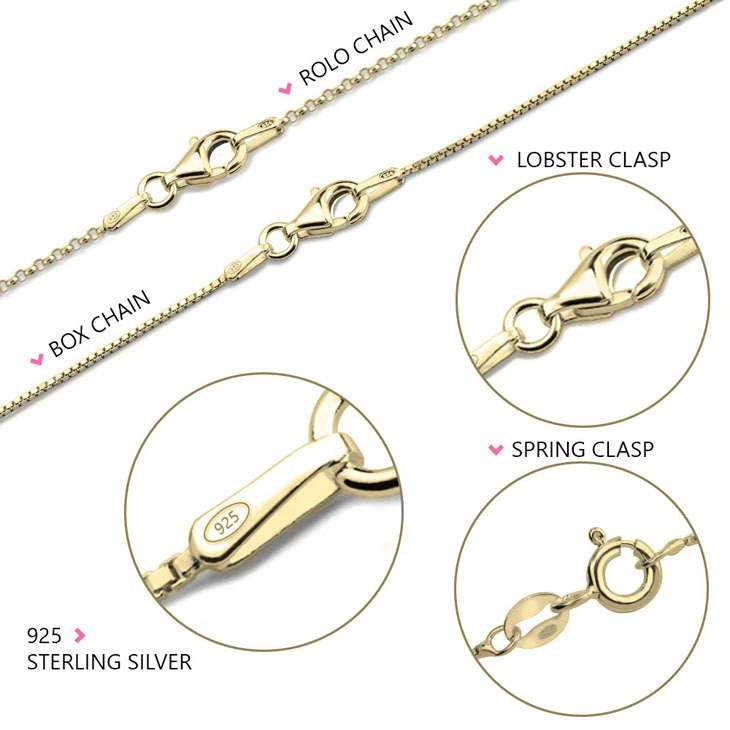 Crafted from sterling silver 925, this bar style pendant hangs delicately from your choice of box or rolo chain, and is also available in rose gold or 24K gold plating. 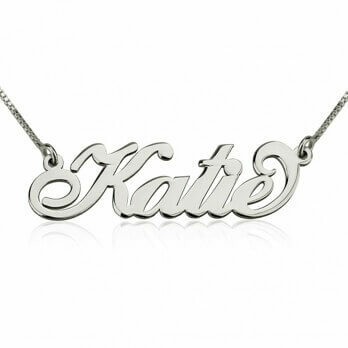 Cut out in an elegant script style font, allow both your names to shine to make a truly one-of-a-kind statement. Shop Now! I really love the necklace! Very fast shipping! I was so impressed with the quality! I get compliments on it all the time. Price was very reasonable as well. I will definitely be purchasing again. 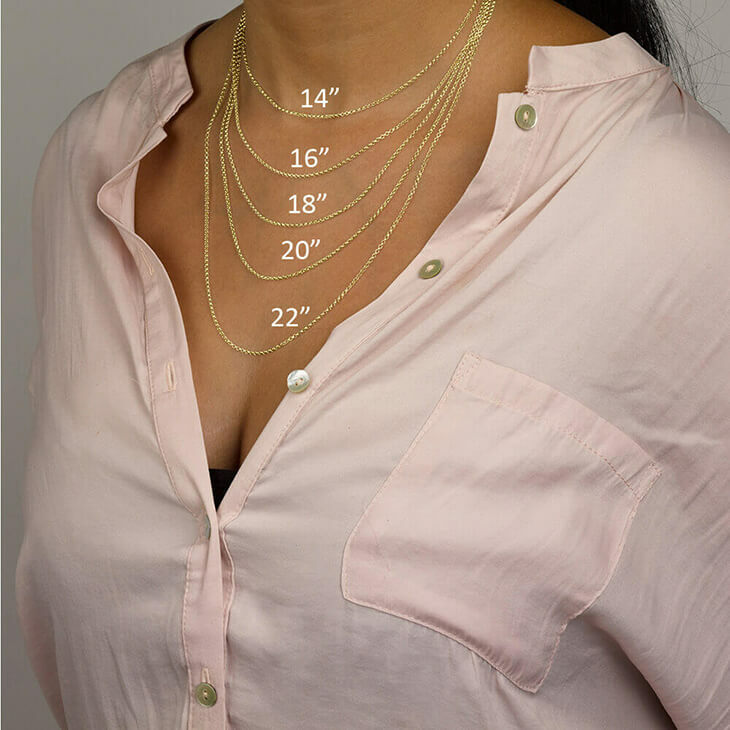 I purchased two separate necklaces as Christmas gifts for my mother & sister. I was pleased with the time in which I received my purchase. Both my mother and my sister loved their gifts and I definitely will be purchasing again in the near future, for myself. Love my necklace! Stunning and always complimented on it. The necklace is amazing but the shipping took awhile ( 1 month to arrive). Great product ! I will be buying more necklaces from your company. The necklace was absolutely perfect! It also came right on time, which made waiting more bearable. 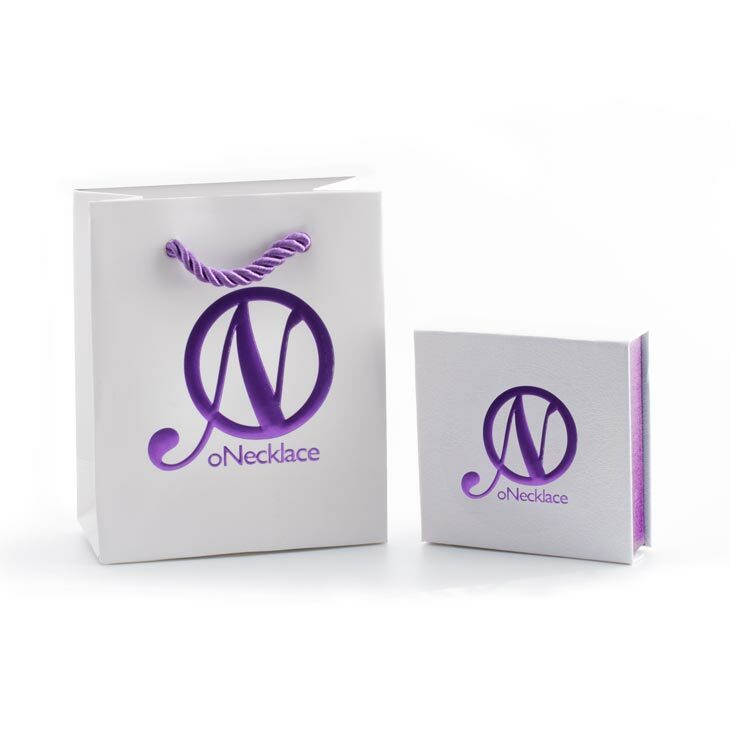 The quality is amazing and I loved the daintiness of the necklace. 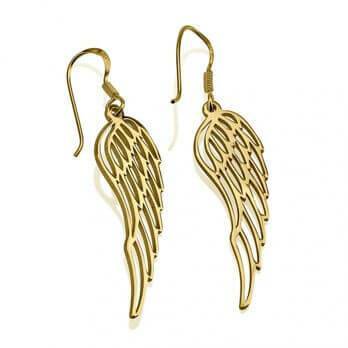 It is very feminine and goes with pretty much everything because of the classic gold. Will definitely purchase more for friends and family! And myself!